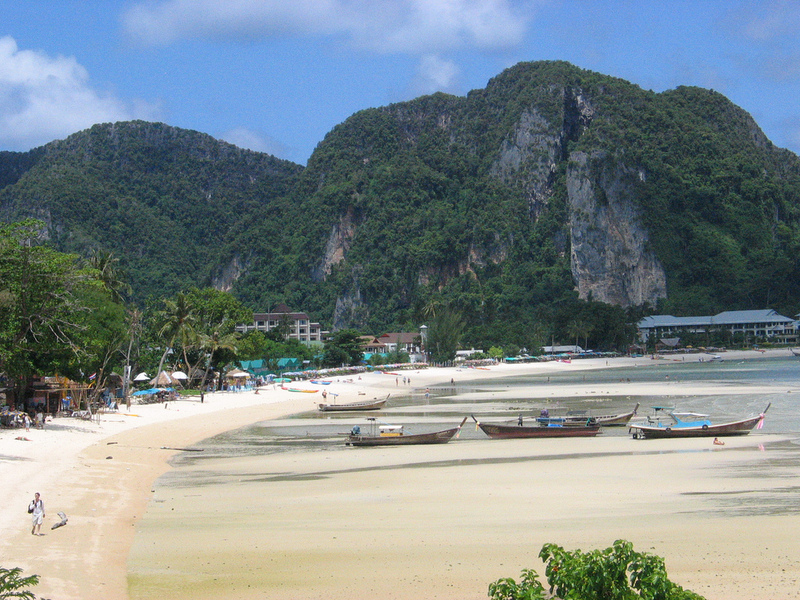 When u say Phi Phi Islands u think straight to Paradise.Ko Phi Phi Don is the largest of the Phi Phi islands in Thailand.One of the most instantly recognizable tropical island in the world,Phi Phi Don shines with beauty.With is fine,white sandy beaches, ,beautiful flora and breathtaking rock formation rising from azure and green to turquoise water that surround the island,will instantly confirm you have arrived in paradise. 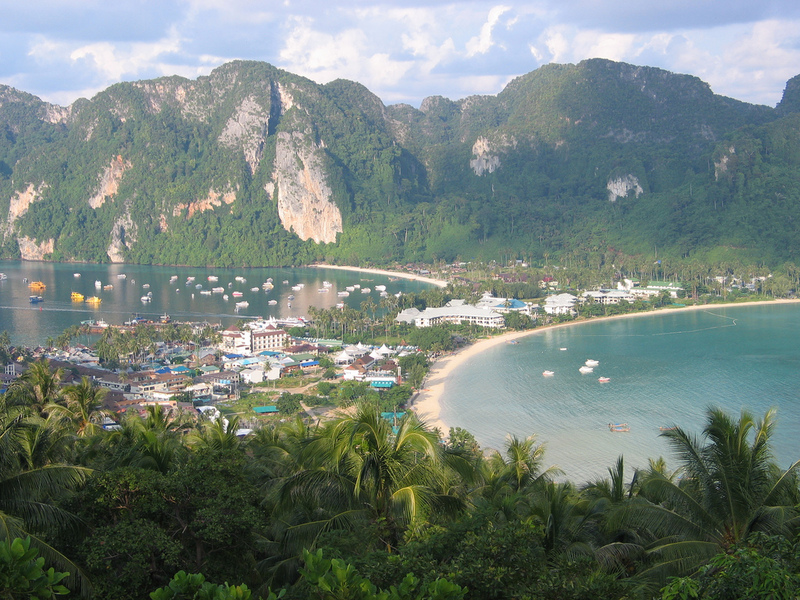 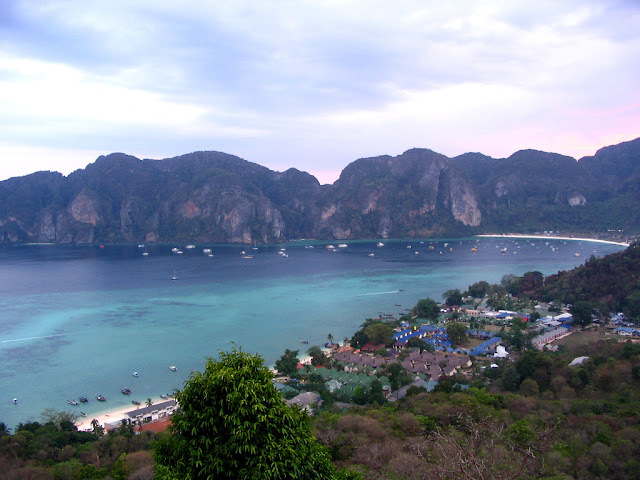 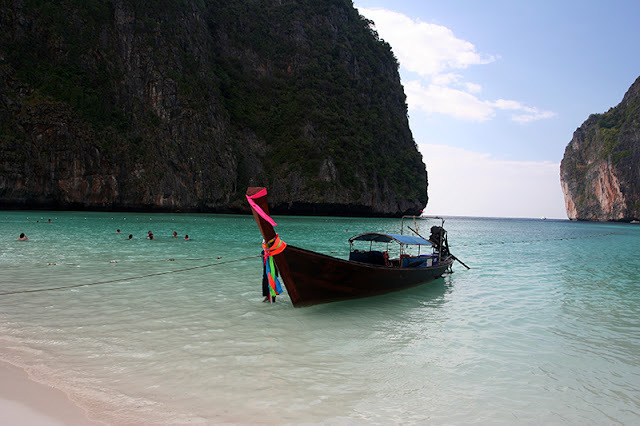 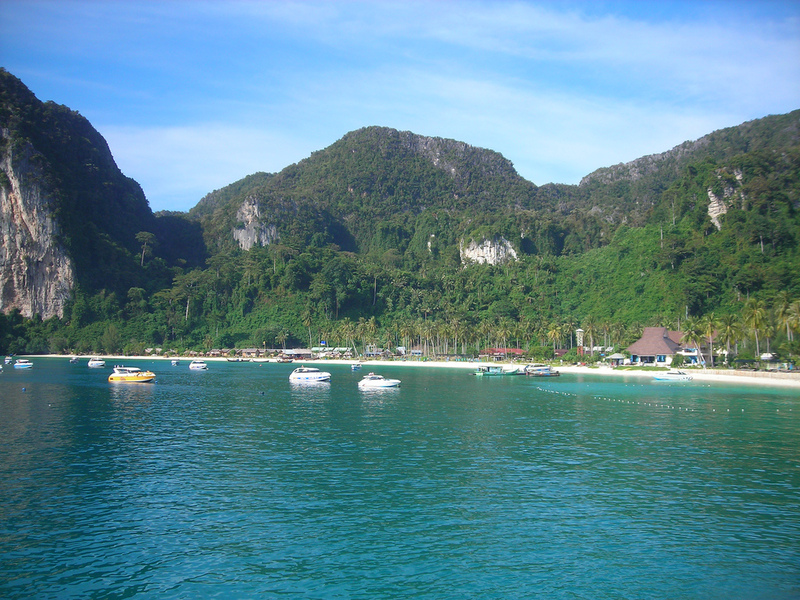 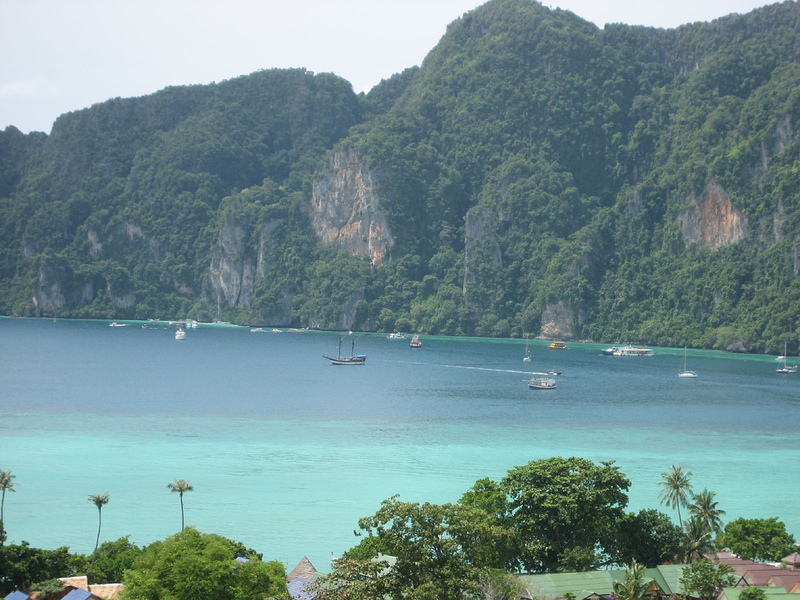 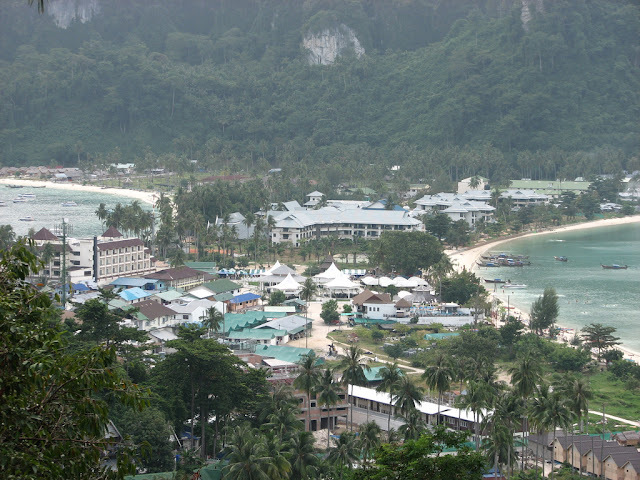 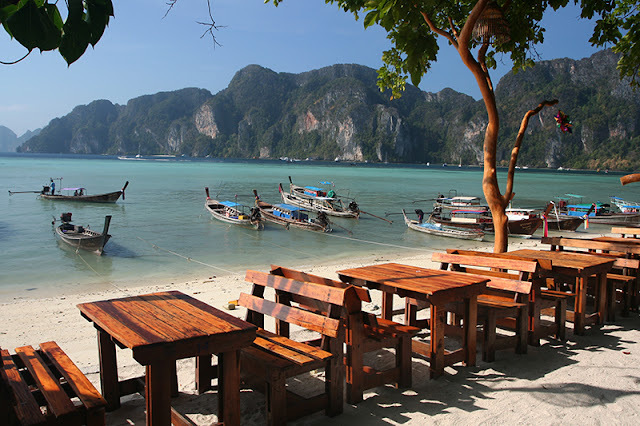 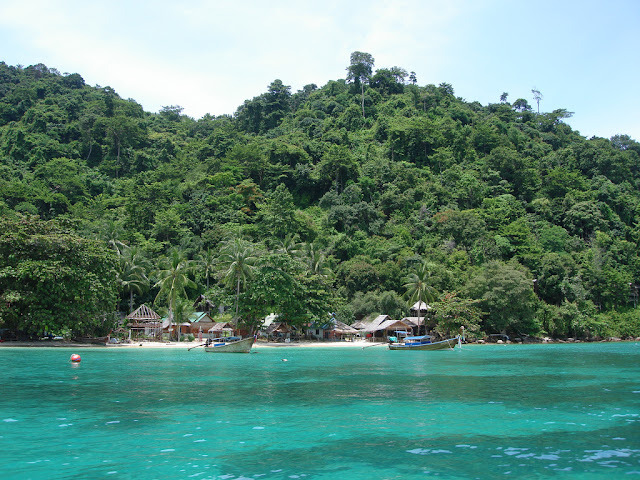 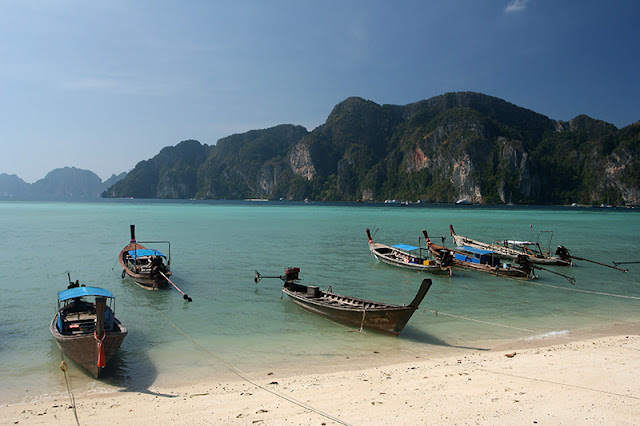 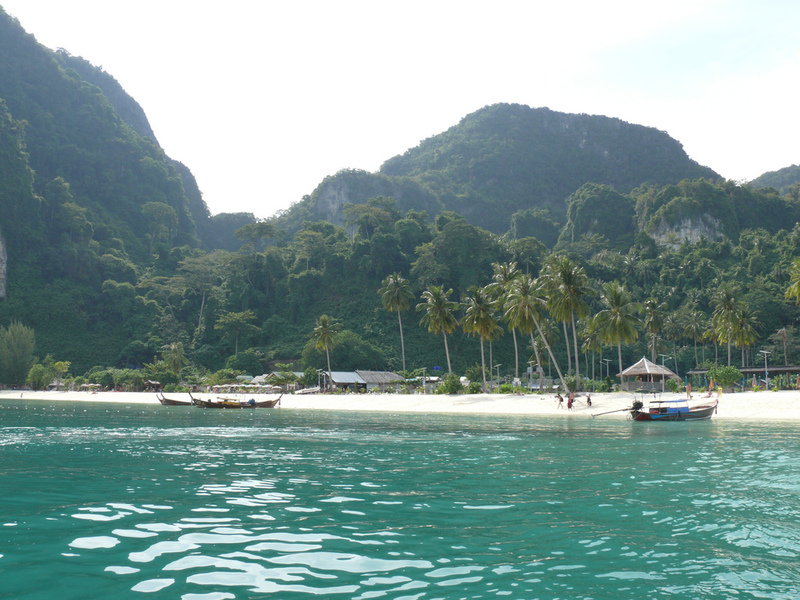 The final push to put Phi Phi Islands on your top list holidays desired,was for sure the film making of 'The Beach' with Leonardo Di Caprio. 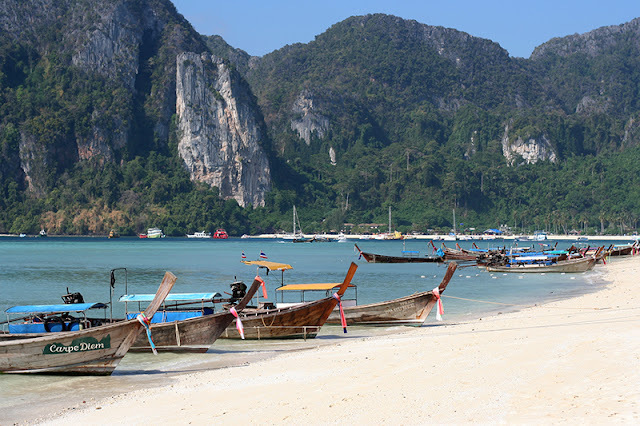 Don't let you into think that Phi Phi Don is a typical island,because it's not.Phi Phi Don is very special.There are no roads here so there is no need for motorbikes or cars.Beach hopping can only be done by water taxi.This makes life more relaxed than usual. 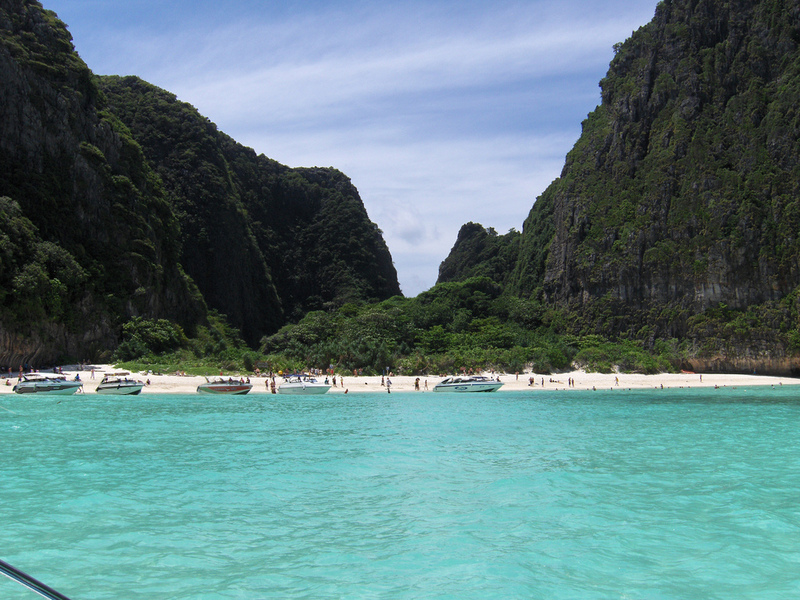 Exploring Phi Phi couldn't be more fun.You can walking,climbing,kayaking,snorkeling,deep sea fishing or scuba diving.Water skiing,windsurfing and parasailing can be done as well.Or u can just lie around on one of the many beautiful beaches. 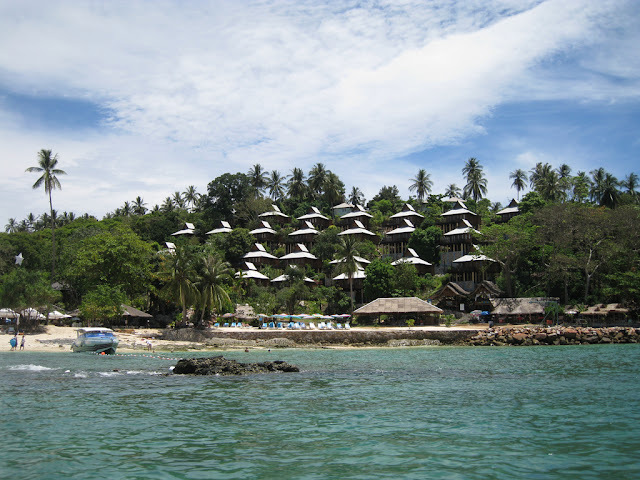 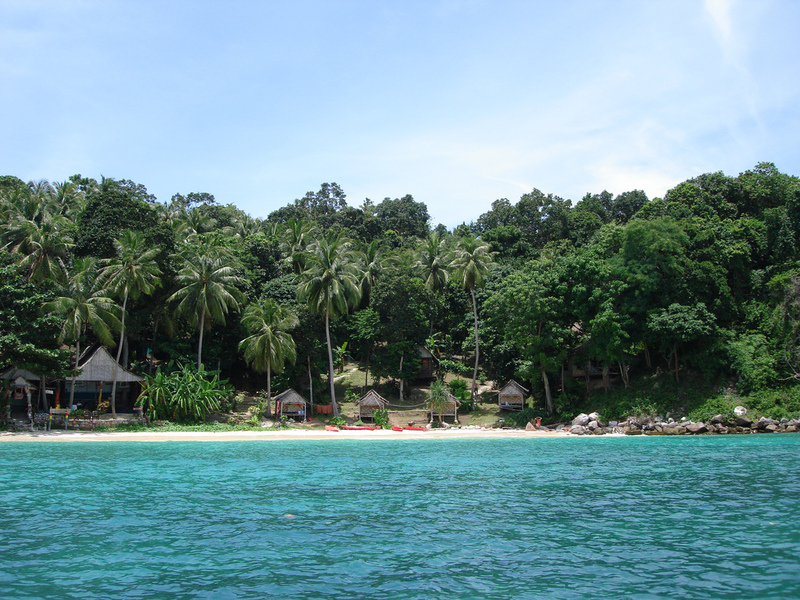 Phi Phi Don is a beautiful island,accessible for all types of bugets.Here u can find a numerous hotels,luxury villas and budget accommodation.